FALL RIVER, Mass. 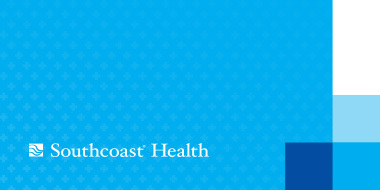 – Southcoast Health announced today that Kenath Shamir, M.D., a member of the Southcoast Physicians Group, has been selected by his peers of the Bristol South District Medical Society as the 2016 Community Clinician of the Year, an honor recognizing his professionalism and contributions as a physician. He was recognized for this distinction at the district society’s annual meeting held last night at the Venus de Milo in Swansea. Board certified in internal medicine, Dr. Shamir served as chairman of the Department of Internal Medicine at Charlton Memorial Hospital from 1999 to 2003, and has been chairman of the Pharmacy and Therapeutics Committee since 1999. He has been a primary care physician with Truesdale Health since 1990, and a member of the Truesdale Clinic Board of Directors since 1998. Dr. Shamir joined the Massachusetts Medical Society in 1983 and has served the organization in several capacities. Since 2006, he has been a member of the Society’s governing body, its House of Delegates, and has served on its District Leadership Council. He is currently a member of the Board of Trustees. Dr. Shamir received a combined Bachelor of Arts/Medical Degree from Boston University’s six-year program in 1987. The Community Clinician of the Year award was established in 1998 by the Massachusetts Medical Society to recognize a physician from each of the Society’s 20 district medical societies and recognizes member physicians for their significant contributions to their patients and the community. The Bristol South District has more than 300 physician members who practice in Bristol County.